Best Adapted Screenplay: Thirty Films Based on Books Stand a Chance of Winning the Oscar! Oscar devotees, I just had to share this intriguing article by Christine Spines over at Word and Film. The piece takes a look at the ENORMOUS number of possible nominees for Best Adapted Screenplay. We've been talking about most of them; it's mind-boggling to realize that the field totals thirty films based on books! Enjoy the read and then weigh in with your top choices. I've got The Descendants and Extremely Loud and Incredibly Close as well as We Have to Talk About Kevin* at the top of my "I HOPE they do an amazing job" list since a fair number of these films haven't been released yet and since I am absolutely no one, haven't seen them yet! "Each year around this time, as the weather cools speculation about the field of Oscar contenders heats up. Now that most of the major Fall Festivals — Telluride, Toronto, Venice, and New York — have anointed (and eliminated) many of the lower budget and/or independently produced players, a short(ish) list of likely nominees has emerged for each of the major awards. All but one, that is: Best Adapted Screenplay. The field of viable competitors for the Best Adapted Screenplay award remains as wide and crowded as it has ever been. It’s also overflowing with talented screenwriters doing some of the best adaptive work of their careers. By our count, there are no fewer than thirty films that have a realistic shot at nabbing a nomination. Herewith, we’ve attempted to capture a panoramic view of field of contenders as it now stands. At this point in the race, there are just two locks: “The Descendants” (Alexander Payne, Nat Faxton, Jim Rash) and “Moneyball” (Aaron Sorkin, Steven Zaillian, Stan Chervin). The latter is important because it represents a successful collaboration between Zaillian and Sorkin — two of the most influential and powerful dramatic screenwriters of our time. 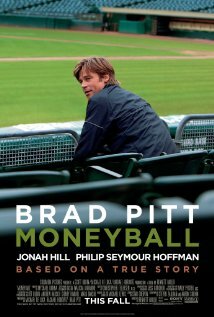 But it is the slightly less solid of these two films, primarily because both critics and audiences were more admiring than ardent in their response to the baseball-as-metaphor-for-life saga based on Michael Lewis‘ bestselling non-fiction tome about Billy Beane’s revolutionary approach to coaching the Oakland A’s. 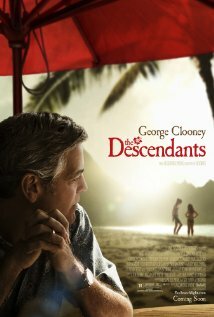 At this point you’d have to be a fool (or former New Jersey Governor, Jon Corzine) to bet against beloved filmmaker Alexander Payne’s adaptation of Kaui Hart Hemmings’ tender tale of family trouble in paradise in which George Clooney delivers the most emotionally raw and resonant performance of his career. The next tier down includes films which will likely be mentioned as likely nominees until the day the actual nods are announced, when one or two of these don’t make the cut in favor of a dark horse (more on those later). “Extremely Loud and Incredibly Close” (Eric Roth): What happens when you combine Jonathan Safran Foer’s iconic work of contemporary literary fiction set in the aftermath of 9/11 with an A-List dramatic screenwriter (Roth) and a filmmaker (Stephen Daldry) who has yet to make a film that didn’t enchant Academy voters? It would take force majeure (or perhaps a pair lackluster of 90’s movie stars) to keep this film from playing a major role on Oscar night. “Girl with the Dragon Tattoo” (Steven Zaillian): Even if we weren’t a die-hard Millennium-ite (we are) and David Fincher fanatic (guilty as charged), we’d still be certain that this adaptation of Stieg Larsson’s bestseller will yield one of the most indelible films of the year. We’re especially eager to see how the alchemy that emerges from Zaillian’s thoughtful, precision-crafted writing, Fincher’s flame-throwing filmmaking and Stieg Larsson’s bleak view of man’s innate depravity. “Tinker, Tailor, Soldier, Spy:” (Bridget O’Connor, Peter Straughan): Based on one of John LeCarre’s most exalted espionage thrillers, this cerebral Cols War story of a retired spook (played by Gary Oldman) pulled back into duty to smoke out a mole comes with a high pedigree of European filmmaking not unlike that of last year’s Oscar juggernaut, “The Kings Speech.” This suspicion was confirmed when rave reviews began pouring in after this film’s Toronto premiere. Finally, there is no shortage of worthy and interesting films filling the stable of dark horse contenders with the potential to stage acome-from-behind upset. At least three of those are movies that might have made it onto our shoo-in in a normal year: “A Dangerous Method,” Christopher Hampton’s adaptation of John Kerr’s non-fiction examination of the psycho-drama that played out between Freud, Jung and their patient/acolyte, Sabina Spilrein; “Drive,” Hossein Amini’s elegant minimalist rendering of James Sallis’ neo noir novel; and “Harry Potter and the Deathly Hallows, Part 2,” which is a testament to the yeomans’ work Steve Kloves‘ has done as the true custodian and sole filmmaker to work on all seven adaptations of J.K. Rowlings’ novels, each arguably better than the last. The box office success and number in the title of this film makes it all to easily dismissed by Oscar voters who have their “serious movie” blinders on at this time of year. But that doesn’t make its deft storytelling any less worthy. Any of the following list of long-shots should not be ruled out of Hollywood’s annual exercise in ego-fluffing. In fact, with the right combination of luck, timing, and savvy marketing spin, any one of them has the essential ingredients of a Best Adapted Screenplay winner. Now that we’ve laid out an overview of the playing field, it’s your turn to weigh in with your thoughts on which films stand the likeliest shot at nabbing a nomination and which ones are most deserving of the recognition. We both know the difference. Prognosticate away. And now for the other current occupants of Oscar’s dark horse corral: “The Ides of March” (George Clooney and Grant Heslov,” “We Bought a Zoo” (Cameron Crowe, Aline Brosh McKenna), “Hugo” (John Logan), “Albert Nobbs” (John Banville, Glenn Close), “My Week with Marilyn” (Adrain Hodges), “Carnage (Roman Polanski, Yasmina Reza), “We Need to talk About Kevin” (Rory Kinnear, Lynne Ramsay”) “The Adventures of Tintin: The Secret Unicorn” (Joe Cornish, Steve Moffat, Edgar Wright), “Coriolanus” (John Logan), “The Rum Diary,” (Bruce Robinson), “Salmon Fishing in the Yemen” (Simon Beaufoy), “360,” (Peter Morgan), “The Skin I Live In” (Pedro Almodovar), “Water for Elephants” (Richard LaGravenese), “The Adjustment Bureau” (George Nolfi), “Submarine” (Richard Ayoade).